The dust has settled on McGregor’s impressive showing against Mayweather in Las Vegas, in a fight that was largely about money. 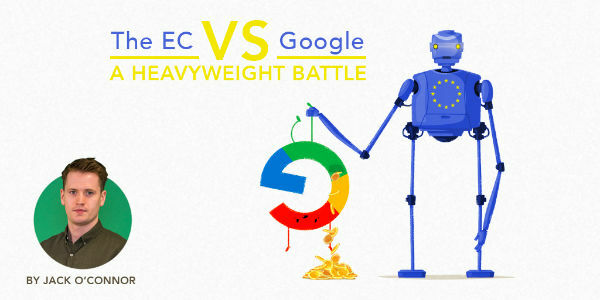 Now, we can turn our sights to the main event, an ongoing heavyweight battle between European Commission and Google, a battle that could have financed the McGregor-Mayweather fight nearly six times over. On 27 June 2017, the European Commission (EC) fined Google €2.4 billion claiming the search giant breached EU antitrust rules. The EC found that Google unfairly leveraged its market dominance to give preferential treatment to its price-comparison shopping service: Google Shopping. The EC gave Google until 25 September to stop this process. Failing to do so would bring heavy penalties, up to 5% of the average daily worldwide turnover of Alphabet, Google's parent company. With the September deadline fast approaching for Google we take a look back at how Google ended up in this situation and where do we expect them to go from here. The European Commission announced its decision to open an investigation into Google, specifically Google Shopping back in November 2010. This came off the back of multiple complaints from US and European competitors. Initially, the investigation covered all of Google’s search services, including Google Hotel Finder, Google News, Google Finance, Google Flights and even Google Maps. In 2013, the US Federal Trade Commission investigated Google for the similar complaints and found no issue with Google’s practices. Initially, this was viewed by some as a positive sign of things to come with the EC’s investigation. However, the way in which both entities view competition differs. The EC believes that problems arise when there is market dominance as this restricts competition and innovation. This does not need to be reflected in price hikes for consumers for the EC to take issue. However, the US will only take issue when the consumer is harmed by market dominance through price hikes. Google’s market dominance does not affect consumers through price hikes but it does create significant barriers to entry. The EU believes that these barriers to entry restrict innovation and has a negative impact on consumers. According to the EC, Google has demoted other shopping comparison sites as far down as page four of the SERP for no reason other than to give Google Shopping a better chance of being clicked. Google gives Google Shopping a prominent position in SERPs, i.e at the top of the results. Many believe Google should be free to promote their own product ahead of others. However, it’s possible the EC has misinterpreted what this prominent position is for. Rather than using Google Search to promote Google Shopping, Google is integrating Shopping to enhance the UX of Search. This is evident from the fact that when you click on a Google Shopping result you aren’t brought to a product page on Google Shopping, you are brought directly to the product page on the seller site. Ultimately, this is better for the consumer and creates fewer steps than if they were given a SERP of different shopping comparison sites, forcing the user to repeat their search query over and over again. Consumers prefer this, evident in our Online Economy Report this year which showed retailers adopting Google Shopping generated double the percentage growth in Q4 2016 to those who didn't. This is a vote of confidence in Shopping by consumers and shows that users are finding what they are looking for quickly and easily. Additionally, the EC also voice concerns “that users do not necessarily see the most relevant results in response to queries - this is to the detriment of consumers,”. The most relevant results in response to a query relating to “Red Shoes” is a selection of red shoes, not a variety of shopping comparison sites that feature red shoes. The EC raised the point that Google has consistently held over 90% of the market share in the European Economic Area for almost a decade. Google is an extremely popular search engine for European consumers because it provides highly relevant search results and employs innovations like Google Shopping. Google responded by stating: “we think our current shopping results are useful and are a much-improved version of the text-only ads we showed a decade ago. Showing ads that include pictures, ratings, and prices benefits us, our advertisers, and most of all, our users.” Despite early reports that Google would comply, on 11 September, Google announced they would be appealing the EC's fine. What’s is next for Google? Well, first of all, Google is awaiting the findings of two more investigations by the EC, one relating to AdSense and another relating to the Android operating system. An online world without Google Shopping would not only be bad for online retailers, but it would also impede on the customer journey that Google and others have simplified over the past decade. With the 28 September deadline looming, Google has submitted details outlining their plans to provide a more balanced view of all SERP shopping experiences. As the EC considers these plans, we’ll have to wait and see exactly what that looks like. The latest solution offered by Google includes a plan to include rivals within the Google Shopping service, distributing position within the service by auction. Whether or not the EC deems this acceptable remains to be seen, but early indicators aren't positive. EU competition chief, Margrethe Vestager, said: "market reactions will be one of the things that we’ll be taking under consideration". 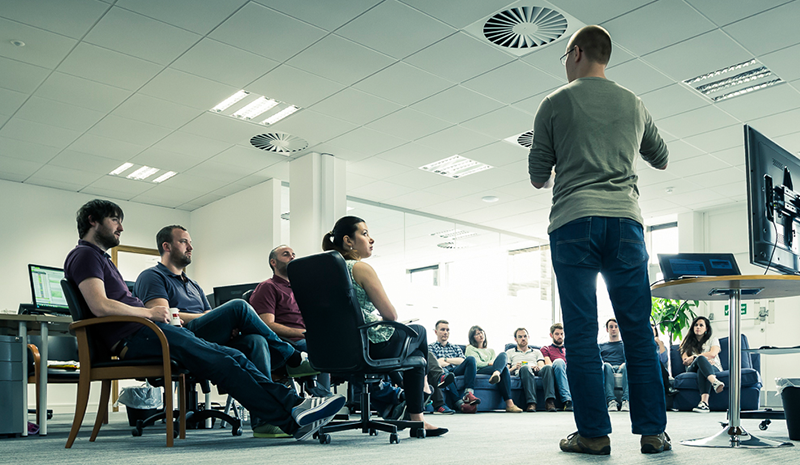 Google has already sought feedback from competitors which was overwhelmingly negative. Regards the appeal, well that could take years, although the likelihood of a Google landing a successful verdict increased slightly as Intel won a case to have a similar EC anti-trust fine re-examined.